This Spicy Vegan Falafel Wrap Recipe is an Indian version of very famous middle eastern street food falafel wrap. 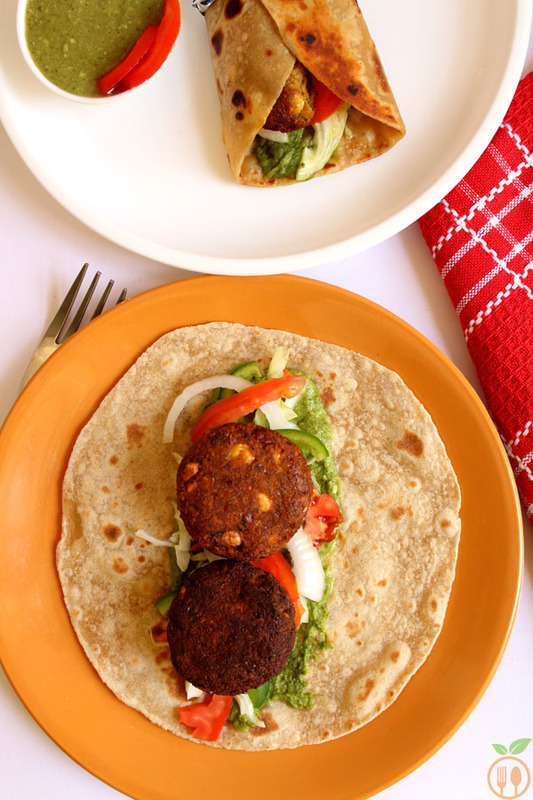 To give the INDIAN Touch to traditional vegan falafel wrap recipe, I have added some more spices to make it more aromatic and spicy. Here I have mentioned easy and step by step method to make vegan falafel and veggie wraps using it. The very basic vegan falafel wrap ingredients are chickpeas, cilantro, onions, garlic, cumin. But I have added some more spices like peppercorns, cinnamon, cloves and cayenne (red chili powder). 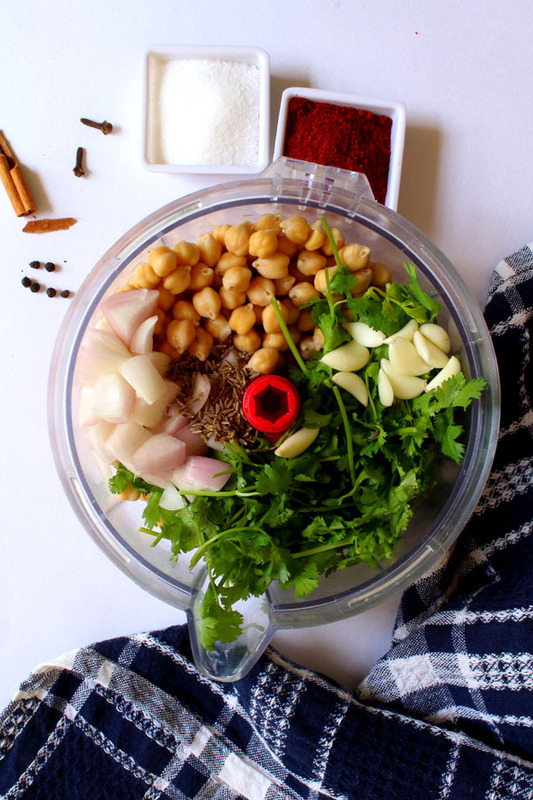 No need to boil the chickpeas. 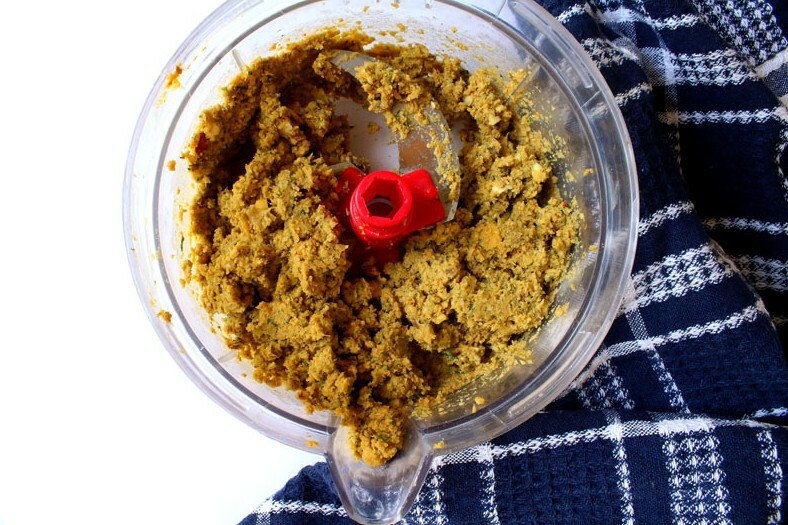 Just blend all ingredients into the food processor and add some flour to give binding. Give a shape you like, and fry them. 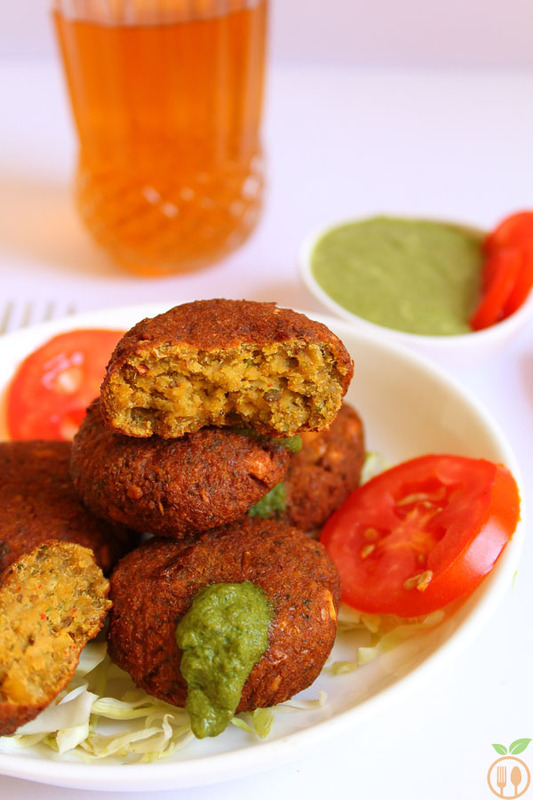 Easy and tasty falafel ready in just 30 minutes. You can have those fried falafel with dip or sauce or chutney. The side dish may be varied by contries. You can choose any Indian chutney. I had my magical green chutney. 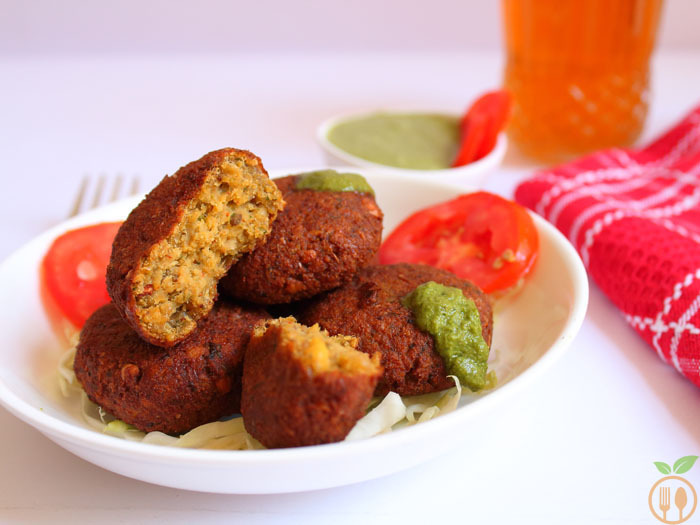 So, friends, readers, I make sure your weekend will surely have this super delicious, yummy, colourful spicy falafel warp. Do not use boiled chickpeas. You can also bake it. But for baking use proper temperature to cook it perfectly from inside. Some amount of baking soda or baking powder is a must. To make wrap, use flour torilla. Grind all the ingredients together, till smooth paste. Do not use water. Add flour, so you can bind the mixture into some shape. If you don't need any flour, then avoid it. Fry the all falafel at very low heat. It will take time to cook perfectly. 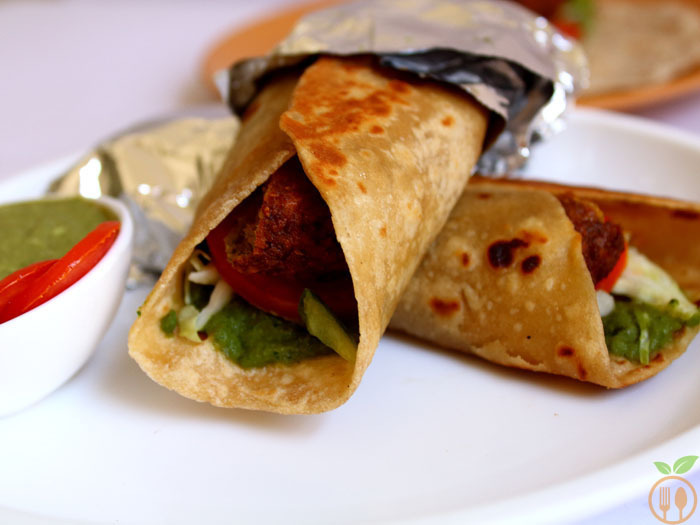 To assemble the wrap, first take a tortilla, spread green chutney, add some veggies like tomato, onion, capsicum, put falafel. 1) You can serve falafel with some dip or chutney and salads. 2) It goes best with flour tortilla.